Kate Considers Just About Everything: What Is It About Bruce Springsteen? What Is It About Bruce Springsteen? Like many of my peers, I bought the record album (yes, vinyl) Born To Run in 1975, and I read the articles in Time and Newsweek that said Bruce Springsteen was, possibly, the new Bob Dylan. I loved the record and played it over and over. It was the first rock album that I loved. Sure, I enjoyed other rock albums, the Moody Blues and Fleetwood Mac come to mind, but Bruce's music I loved, and even then, in 1975, I knew that Bruce was much better than Bob Dylan. In 1984, when Amy was not yet one year old, I introduced her to "the Boss" by playing for her Bruce's new album Born in the U.S.A.. Amy and I would dance to the music. It was so much fun, and she loved Bruce's songs. It was much better music than Raffi or Sesame Street. Don't get me wrong, I like children's music well enough, but Bruce has a magic, wonder, and power that leaves everyone else in the dust. During the next twenty years of raising my four children, I had little time to follow music. I would buy Bruce's new albums, tapes, and cd's, but I rarely got to listen to them more than once or twice. My dream was to go to a concert one day. Then, in 2007, I went to my first Bruce concert. Bruce was excellent, but the acoustics were awful at the venue, and our seats were in a blind spot, so my youngest son, Grant, and I roamed around the arena throughout the concert trying to get a view of Bruce or at least the screens. We had read about Bruce's concerts going late and being full of Bruce's spontaneity, but this concert ended respectably just after ten. So, our first Bruce concert was a qualified positive. Six months later in 2008, on the same Magic tour, Grant and I got to see Bruce at the HP Pavilion, and the show was amazing. It still ended at a respectable time, but it had lots more energy and spontaneity; plus, the acoustics are excellent at the Pavilion, so the music quality was much better than our first concert. 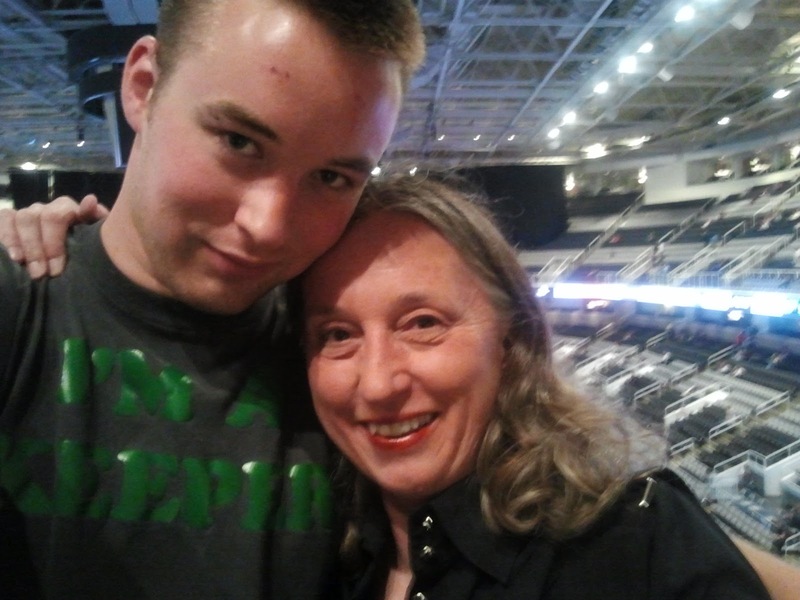 And now we come to last night's concert, again at the HP Pavilion, again Grant accompanied me. Last night was pure magic! It's like that moment when you fall in love with someone--perfect. And love is what I think makes Bruce's concerts so alive and so memorable. Bruce loves us, his fans, and we love him. He gets energy from us, and we get energy from him. And then there's the music--Bruce loves music, every type of music, pure and simple, with an all-consuming passion, and he shares his passion and his love unconditionally. Bruce holds nothing back, and we, his fans, do not hold back either. And in that concert where everything comes together and clicks, as it did last night, Bruce and his fans enter into a state of pure sustained joy. The world slips away, and we are transported to a rapturous place of total bliss. When the concert ended after 11:30 PM, everyone was happy and "stimulated" like Bruce wanted, but we wished it could have gone on another hour or two, and Bruce looked like he wished it could have gone on longer too. Last night's concert was a perfect evening that could not have been better. Grant and I are looking forward to Bruce's next concert, whenever it may be, and I encourage all of you to see Bruce if you can. Being at one of his concerts is possibly the closest we can get to heaven on this earth!